Gwen served as the longtime Director of the Center for Writing at The Cooper Union in New York City. She has taught writing, literature and cultural studies to thousands of students, and has helped countless college professors and writing teachers develop their practices. She is the author, with Martha Schulman, of Thinking on the Page: A College Student’s Guide to Effective Writing. Gwen earned her PhD in English at Columbia University; she has taught at the college level for nearly two decades. She is also the author of Making a Man: Gentlemanly Appetites in the Nineteenth-Century Victorian Novel, and the co-author, with chef Andrew Carmellini, of Urban Italian and American Flavor. Martha is the author, with Gwen Hyman, of Thinking on the Page: A College Student’s Guide to Effective Writing. 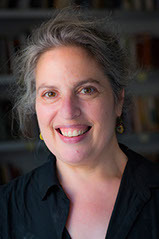 Martha holds an MFA from Columbia University and a Master of Arts in Teaching from Brown University. She has taught writing and literature to college and high school students in the US and China for over a decade. She directs the Cooper Union Summer Writing Program, which prepares rising and graduating high school seniors for college-level writing. 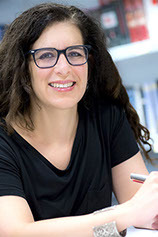 As a professor, Senior Writing Associate and Writing Fellow at the Cooper Union, she teaches literature and writing, works on-on-one with students, mentors new writing teachers, leads classroom workshops, and works with faculty members across the curriculum on writing pedagogy. Her short stories, reviews, and essays have been published in the U.S. and Great Britain. Workshop’s extraordinary tutors are all highly qualified and experienced educators. All of our tutors hold advanced degrees, and all have extensive classroom and one-on-one teaching experience. Our tutors are thoroughly trained in Workshop’s active, visually oriented method. They are dedicated teachers who take great pride in their students’ achievements.